The Rotational Chest Opener Exercise is a great way to build rotational strength and stability in your core and shoulders. The Rotational Chest Opener Exercise forms part of the Golf Strength and Endurance series of innovative and dynamic exercises that are designed to efficiently increase your stabilising strength – supporting proper body alignment, movement patterns, and energy transfer within the golf swing, and helping to prevent injuries. Figure 1. Rotational Chest Opener Exercise Video. 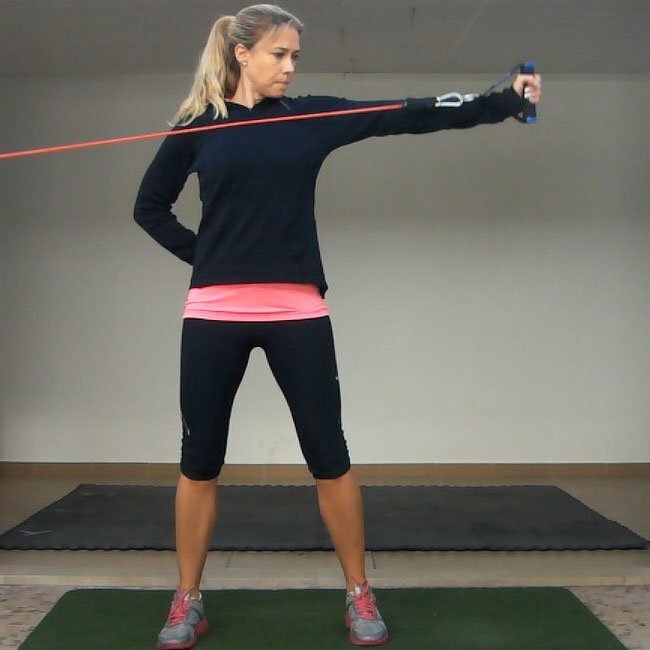 Start by standing, holding a resistance band with your left hand that is anchored at chest height on your right. Rotate your shoulders to the right, reaching across with your left hand. Rotate your shoulders, chest and head to the left, contracting your left glutes, pulling your straight left arm around your body until it is out to your left side. 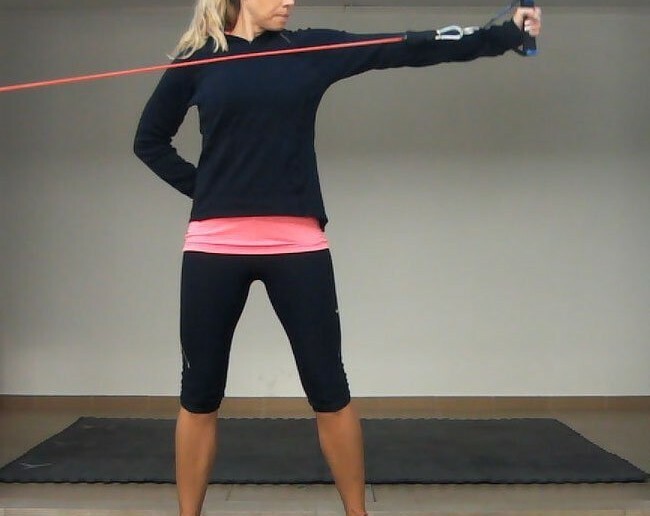 Keep your arm straight as you pull it around your body. Keep your non-working shoulder pulled back, towards the anchor, so that you feel your chest opening wide as you pull your arm across. You should feel it working the backs of your shoulders and your obliques.